Just in case you thought that NVIDIA’s Titan Xp-branded video cards were not special enough on their own, the company announced a pair of new Star Wars-themed collector’s edition Titan Xp cards. The new cards will be available with green or red lighting and with different finishes of the coolers that will mimic features of the Rebel Alliance and the Galactic Empire. As for performance, the GPUs will offer the same specifications as the regular Titan Xp cards. 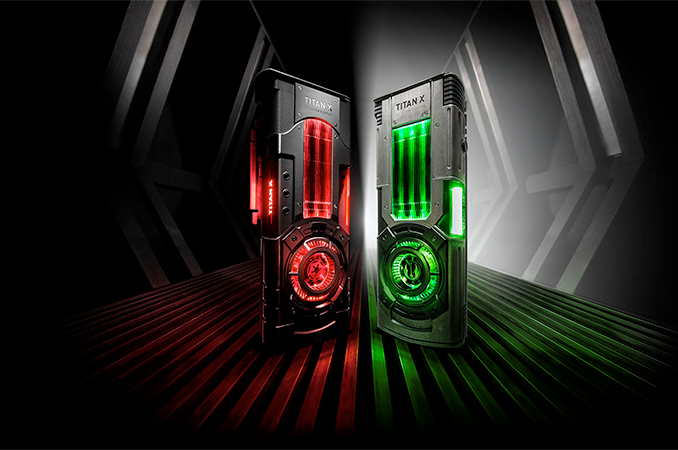 The Star Wars-themed Titan Xp graphics adapters will be available in two versions dedicated to factions of the franchise — the dark side and the light side. 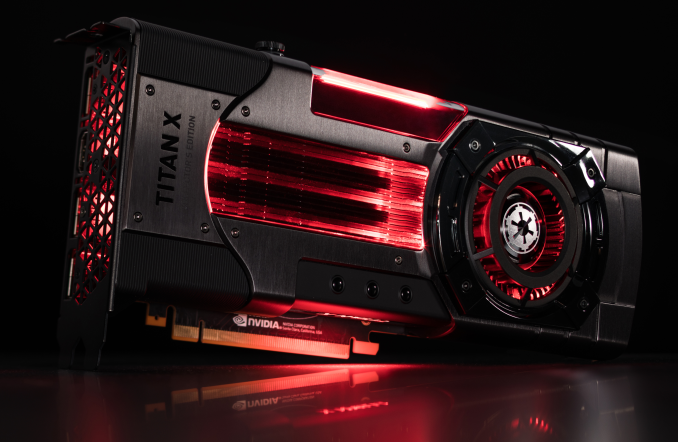 The Titan Xp Galactic Empire will feature red lighting along with a cooler shroud designed to resemble technologically advanced weapons of the Empire. Meanwhile, the Titan Xp Jedi Order will have green lighting and an aluminum cooler shroud subjected to a corrosive salt spray to look like worn and torn weapons of the Jedis. Internally, the coolers use the same architecture that NVIDIA has been using for its high-end Titan cards for years: a heatsink featuring a vapor chamber and thin fins that is cooled down by a blower. Obviously, different versions of the new Titan Xp will carry logotypes of the two fractions as well as Star Wars backplates. 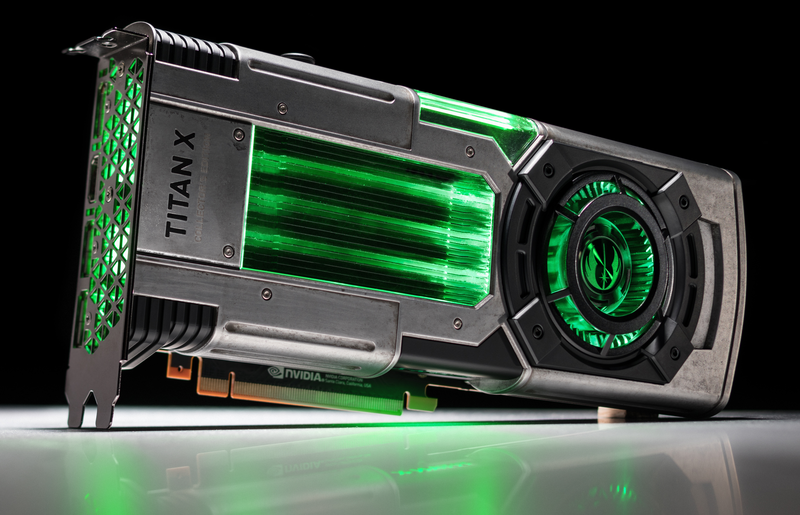 As one would expect, the Star Wars-themed NVIDIA Titan Xp graphics cards will be available only from NVIDIA for the price of $1200. The company is not going to discontinue its regular Titan Xp board, so interested customers will be able to get it going forward. NVIDIA begins to take pre-orders on the Star Wars-themed Titan Xp collector’s edition graphics cards on November 8 and plans to make the products available broadly starting from November 17, about a month before Lucasfilm releases its Star Wars: the Last Jedi movie. The early pre-orders are available only to GeForce Experience users. Meanwhile, customers who want something cheaper with a similar level of performance (and with fewer gimmicks) can opt for an RGB LED-enabled GeForce GTX 1080 Ti. I'd like to see Bach-themed Titan Xps. They'd plug into the system like keys of a giant harpsichord, and once you populate all the slots it would play the entire well-tempered clavier using artificial intelligence. Question: How can you tell when a company is lacking in innovation? Answer: When they start slapping the Star Wars license on existing products. That is just it. They don't have competition, as such, they don't need innovation. Innovation simply costs money to produce a product which only cuts into sales of an existing product that the same company is already making (and already spent the research/development costs). This assumes that current users will simply replace existing cards with new "Star Wars" branded cards. While nvidia doesn't really have to worry about AMD and especially Intel, they are effectively competing against existing nvidia cards sitting in users computers. Producing the same card will sell to new builds and replace dying cards, but won't budge existing users. Producing a superior card will replace existing nvidia cards (Intel has a similar issue, except now AMD is at least a possible threat). Why your argument really fails is that nvidia is "innovating without competition" in the GPU computing market. There really wasn't anything that could compete with the Pascal P100 platform until nvidia went and created the Volta V100 platform. Presumably there is simply more money to be had innovating here than trying to get users to replace graphics cards. Presumably the death of Moore's law has caused old customers to get off the "upgrade treadmill", or at least wildly slow down. I'll admit that if current GPUs keep selling, nvidia would be foolish to release volta (Intel waited until Zen to sell 6 cores at less than $1000) but I'm surprised that sales could be sufficiently constant.